We offer a comprehensive range of high quality wire brushes available with a choice of either Brass, Steel, Stainless Steel or Nylon Fill. These brushes have many applications including cleaning, de-burring and polishing of many materials such as steel, stainless steel, non-ferrous metals, wood and plastics. To avoid any hidden surprises all prices shown include V.A.T, and all orders will be supplied with a full tax invoice showing V.A.T. paid. 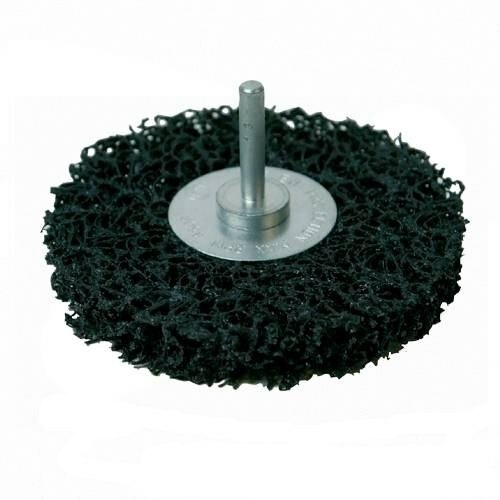 Anvil offers a New range of Wire Brushes for Cleaning External Parts. Available in a selection of sizes an external parts brush is specially designed for the removal of burrs, rust, paint and general cleaning of external threads, spindles, pins, shafts etc. Unique in the industry. Fitted with a 6mm arbor this tool can be fitted to a portable power tool and taken to the workpiece or bench mounted and the work taken to the brush. Choose from the product group below to view the full range. Should the brush you are looking for not be listed, please contact us. We have a huge portfolio of products available and can also offer a custom made service, with brushes manufactured to customers own specifications and requirements.